The cold weather has arrived, fireplaces are radiating warmth, and warm hats and scarves and mittens need to be made before the holidays. This is why we brought you our especially-made-for-cold-weather yarn, Woolly Comfort. 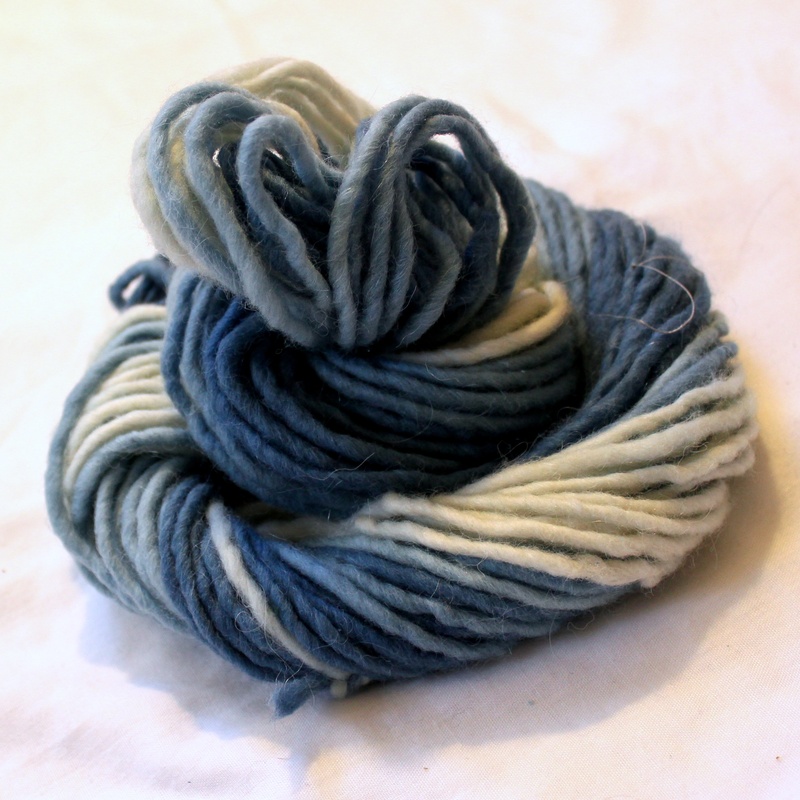 This is s warm and fluffy single-ply bulky yarn, with 85% wool and 15 % alpaca fibers. But that’s not all that’s new! 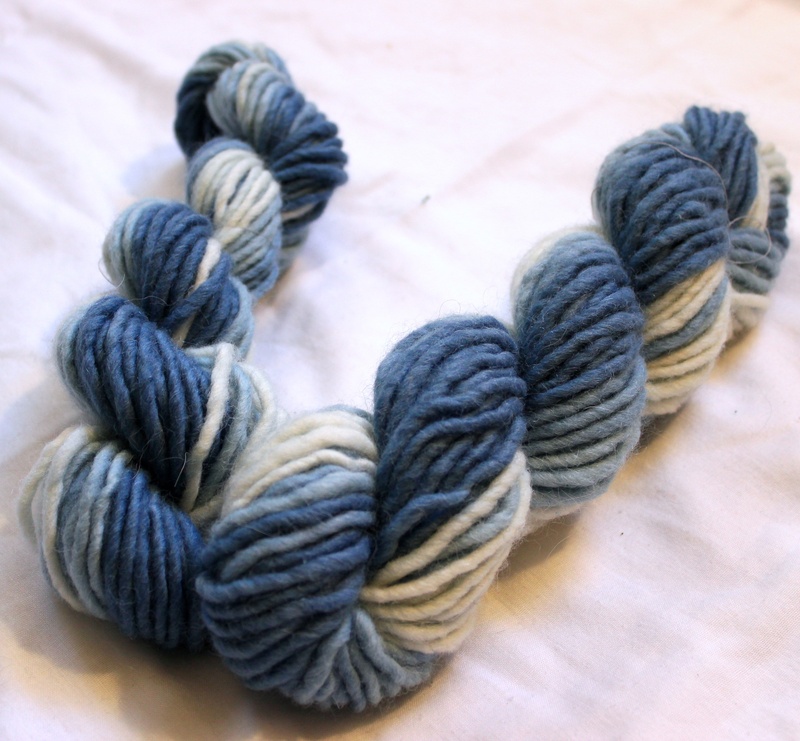 With the new yarn, comes a new colorway: Glacier. 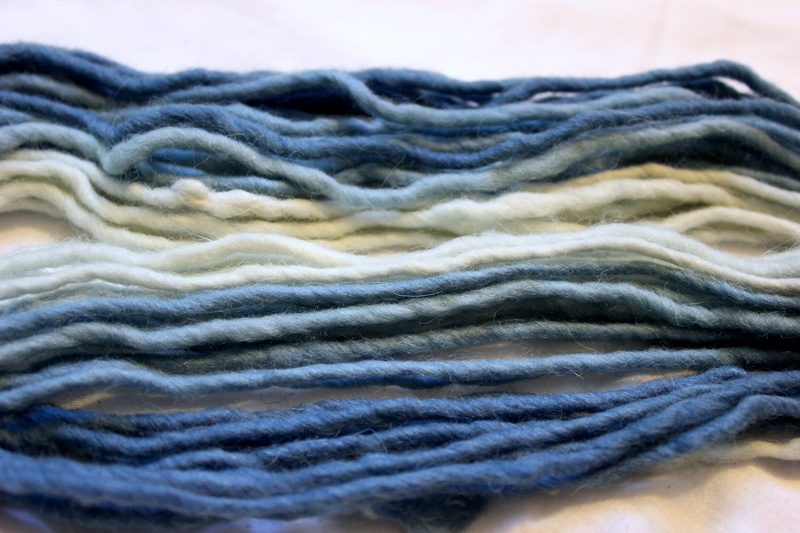 This is a true gradient colorway, meaning that the color transitions from darkest to lightest not in a repeating loop but over the entire hank. 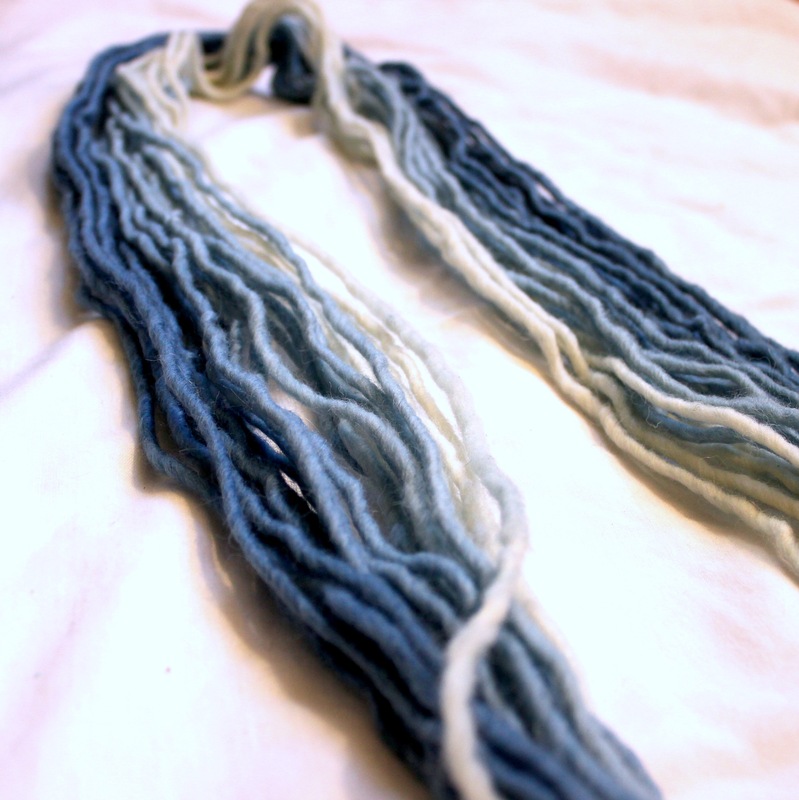 You can wind to start from the deep blue end, or the creamy white end, and knit up a gorgeous hat or scarf which slowly flows through the various shades of indigo blue. 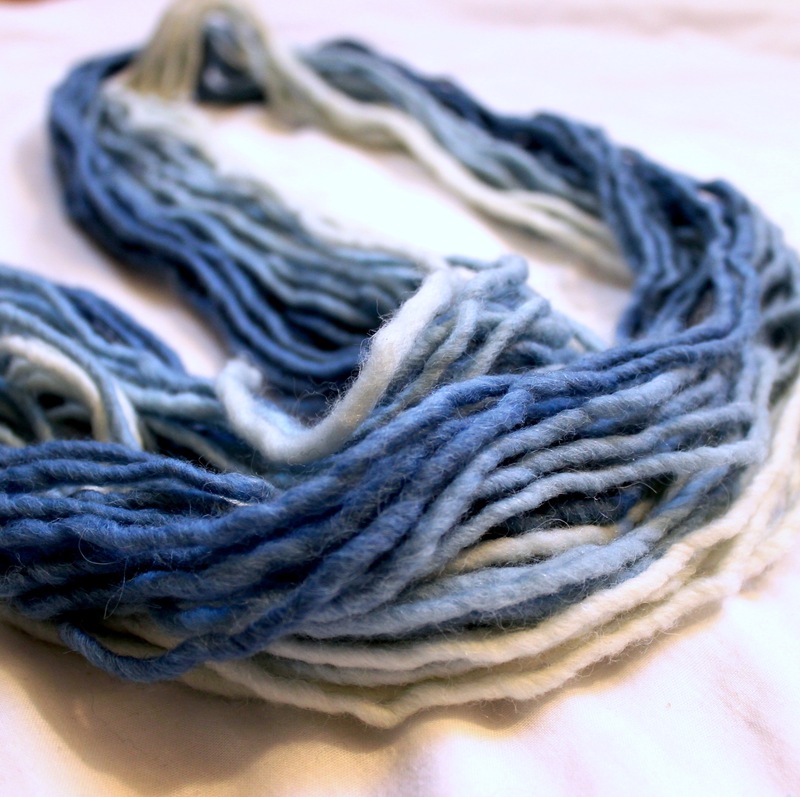 Dyed with natural indigo. Like it? Buy it in Etsy.